The volume of daily maintenance needs and small construction projects for single or multi-site facilities can be overwhelming and costly. But it doesn’t have to be. What’s the benefit of working with a single-source provider of construction projects and facility maintenance? We provide you with a scalable, on-site extension of your staff, so you can focus on your core business instead of maintenance and/or construction. And because we can handle your specific HVAC service and facility management, as well as small construction project assistance as needed, we can help you reduce your costs along the way — and maximize facility uptime. 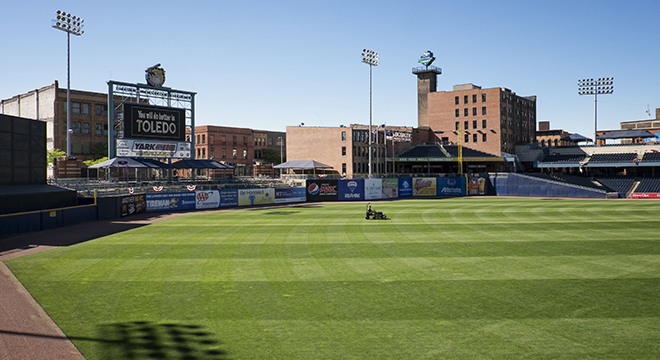 Just ask Fifth Third Field in Toledo, Ohio. By combining a number of efficiency projects and services — including a comprehensive HVAC agreement, FM360 facility management agreement, annual and capital facility planning, procurement, lighting retrofit, boiler optimization, and domestic water shutdown procedures — they reduced their costs by the equivalent of $1 million dollars in ticket sales. Ask us how we can help you maintain your facility, manage construction project needs and reduce your operating costs. Discover how the experts in our FM360 Total Facility Management team can maintain and service your facility, helping reduce costs and maximize uptime—while allowing you to focus on your core business.